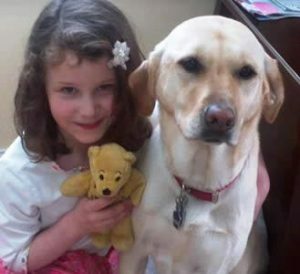 Six-year-old Charlotte Helen Bacon was, in the words of her parents, Joel and JoAnn, “a true free spirit and independent thinker” who “was in a perpetual state of movement,” a delight to her family and friends. Often in the company of the family dog, Lily, and her “litter” of stuffed animals, Charlotte dreamed of one day becoming a veterinarian. Charlotte’s life ended on December 14, 2012, along with 19 other classmates and six adult staff members, at the Sandy Hook Elementary School in Newtown, Connecticut — a tragedy that shook the nation. 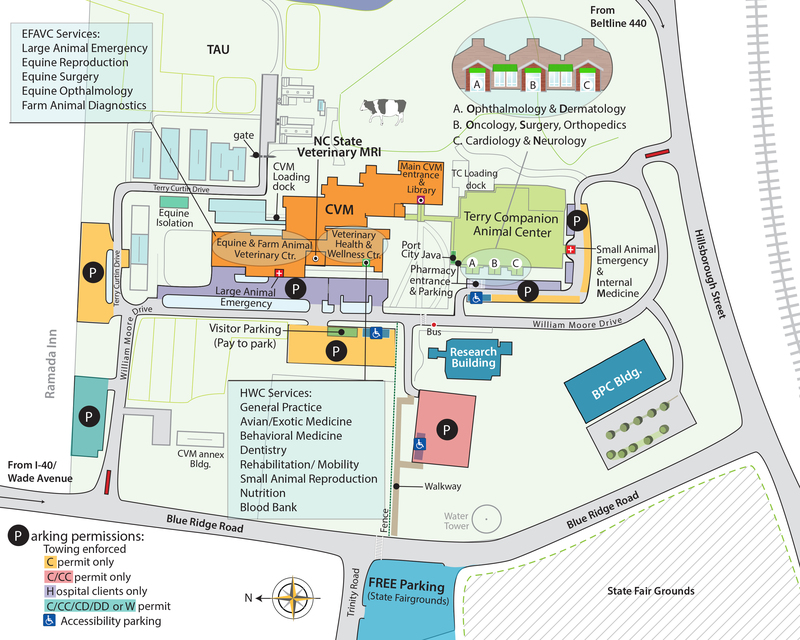 Learning of Charlotte and her dream not long afterwards, members of the NC State College of Veterinary Medicine (CVM) community were deeply moved, and with the permission of the Bacon family, initiated a drive to create and fund a scholarship in Charlotte’s name. The scholarship is awarded to students of the college who are interested in equine or companion animal medicine and who have a track record of significant service to children in an educational or community setting. This year’s recipients are from the class of 2020 — Micah Stockwell-Goering and Janelle Wiser. Each received an $1,100 award at the beginning of this academic year. Micah was selected because she is fluent in Spanish and plans to own a veterinary practice that makes veterinary services more accessible to families who do not speak English as a first language. Janelle was selected because of her work training a therapy horse for a special needs child. Similarly, Micah told of her deep appreciation for the scholarship, saying “it makes such a difference when you know that someone else has believed in you and is rooting for you to to succeed. It’s very motivating.” Knowing the backstory behind the scholarship was unexpected and very moving, as well. “To think this could be possible because someone couldn’t have an opportunity to pursue this dream … I can’t say that I didn’t cry,” Micah said. 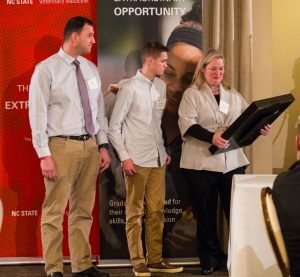 The evening of February 21 was a special moment for the students and for the Bacon family, alike. 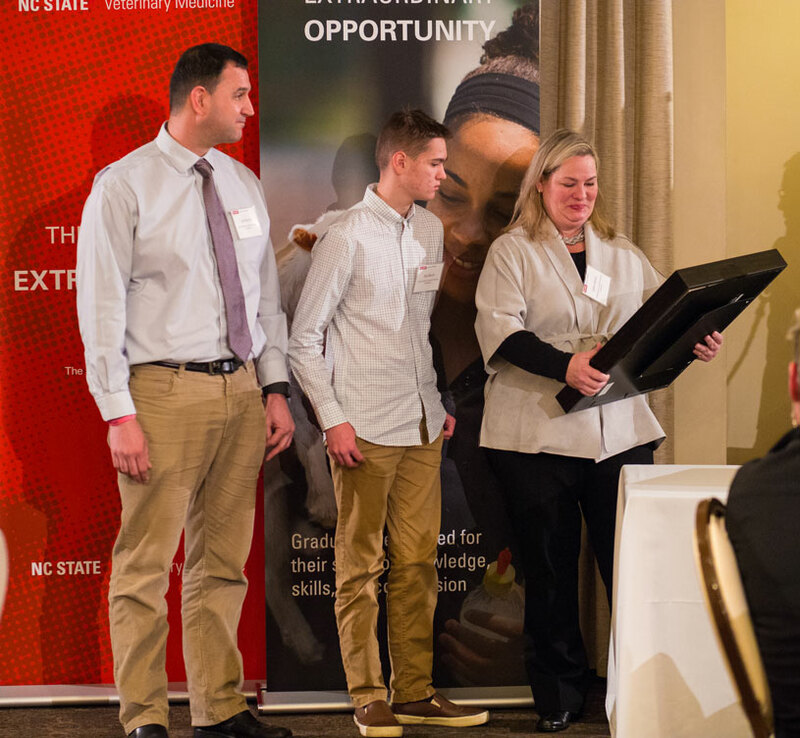 During the CVM’s annual scholarship dinner, celebrating scholarship recipients and the donors who make them possible, Joel and JoAnn Bacon, along with their son Guy, were in attendance, where they had an opportunity to meet Micah and Janelle. Coincidentally, the event took place the day before what would have been Charlotte’s eleventh birthday. But that wasn’t all. CVM Dean Paul Lunn had something special for the Bacon family. 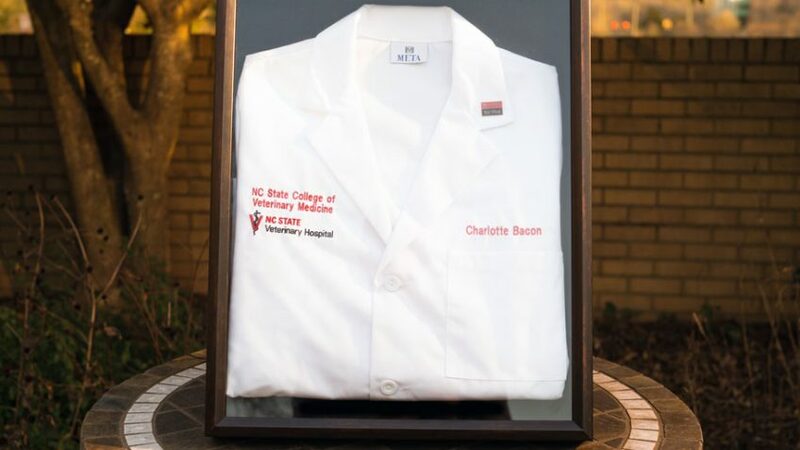 In recognition of Charlotte Bacon and her dream of becoming a veterinarian, the Bacons were presented with a letter admitting Charlotte as an honorary student at the NC State College of Veterinary Medicine, and with the special white lab coat every incoming student receives at a ceremony at the start of each academic year, this one embroidered with Charlotte’s name.